I love them-particularly the ones off Great British Bake Off. 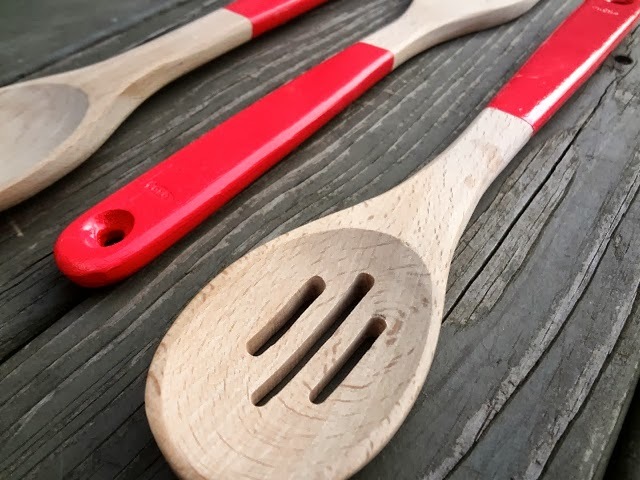 You know the ones-wooden with painted handles? Well you should keep your eyes peeled next week to see if you can see them! They are beautiful. Who doesn't like a beautifully painted spoon? Answer: no one, that's who. 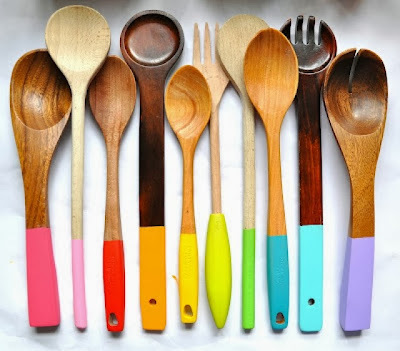 My favourite collection of painted spoons. So, I search high and low for them...well I googled them, but same difference. Anyway, my search was fruitless (spoon less). No one seemed to be selling them. So onto trusty Pinterest, tahdah! I knew Pinterest wouldn't fail me, beautiful pictures of lovely spoons. This makes me very happy indeed! But yet again, no one selling any. It's time to face facts. The only way I'm going to get these life changing spoons into my house is to paint them myself. 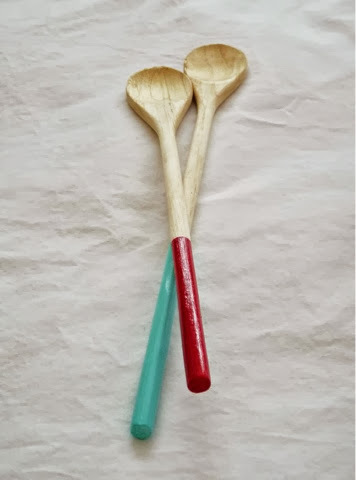 So, I'm off to buy some boring old normal wooden spoons and then let the magic begin. I've got my Annie Sloan Chalk Paint, some masking tape, some brushes, I also think it will be a brilliant way of testing my new Ronseal varnishes that arrived this week. Beautiful spoon tutorial coming soon! * I apologise for the terrible photos that were on here, hopefully all sorted now. I love those spoons - the colours are terrific and I can't believe that there aren't any for sale.... but maybe you can buy some reasonably priced ones, paint them and sell them for more, much more... Totally understand the husband away thing - I am 2 mos into an 8 mos Africa deployment. Just plain yuck!! My kids are older, but I feel like the chauffeur. Such a simple idea! Love it, will do this! You could even wrap them up as a fun, cheap idea for a Christmas present.....here I go...on a roll!!! Thank you so much for your comments, I'm so sorry its taken an age to reply...I had no keys on my laptop as The Rascal systematically pulled them all off. It was a long process to rectify. Anway, so glad you like the spoons I am in the middle of doing a "Spoon Painting Tutorial" which should be ready for your perusal by the end of the weekend!